Custom Yacht Works, based in Swanmore in a beautiful part of Hampshire, is understandably always a hive of activity whenever I call in. 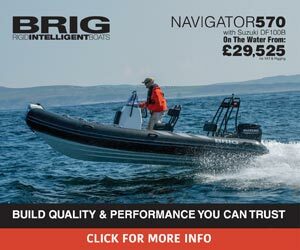 This is hardly surprising as the company has accrued a considerable reputation for first-class classic-boat restorations. At the time of my latest visit, the team were busily working on five Fairey powerboats and were awaiting the imminent arrival of a further two, both Huntsman 28s, which will undergo major restorations. We begin with founder Mark Lewis telling me about his background. ‘I began my career in 1986 by embarking on an apprenticeship at Kemps Quay boatyard,’ he reveals. ‘I was that annoying apprentice who was always asking questions. But very quickly I realised that if I wanted to learn anything about the artistry of marine engineering I had to work closely with the older craftsman. They were the ones with the wealth of knowledge and had probably forgotten more than I ever knew. Rather than simply making repairs using large pieces of wood, today CYW still use the same wood laminate construction techniques when repairing or restoring these vessels. ‘Of course, our methods and the standard of adhesives have evolved considerably since the 1960s,’ smiles Mark. Out in the yard stands Grey Don, an aft cabin Huntsman 31 and only the second of her type built, undergoing an extensive interior/exterior restoration and the installation of new Yanmar diesel engines. Also, two other Fairey Huntsman craft, Shikari and an original racing Huntsman, 202, await servicing. To foster interest in the Sabre programme, Fairey Marine will be encouraging prospective clients to visit their facilities at Swanmore to view all the options, including paint colours, wood veneers and materials. ‘We always find that for customers, choosing samples is a very tactile experience and is the aspect of the entire programme they enjoy the most,’ says Mark.